Q. I drive a 2006 Buick Lucerne. Recently I took it upon myself to bring my car into my mechanic for a new battery. I figured five years driving on this battery was cutting it close. I started noticing some little glitches with my vehicle that were making me feel like getting a new battery might be a good idea. So I bring my car in to the mechanic and drive it home. The next morning I get in my car, go to start it and it will not start. I also discovered the door and trunk auto lock/unlock will not work from the remote. I thought replacing the battery would prevent the glitches I have been noticing, and would provide me with the peace of mind that my vehicle would start. Now I have a vehicle with a new battery that absolutely will not start. What could be the problem? A. I have more questions than answers on this one. First off, when you took the car into the shop, did you tell them about concerns you were having or did you just ask them to replace the battery. I agree five years is the average life of a battery but you should not have assumed it would solve the other two problems you mentioned. The shop should have asked you some questions to find out the real reason you wanted a new battery. With regard to the random no start, I would need to know if the car would not crank or if it cranks but will not start. I would guess you are describing a no crank scenario because you thought you might need a battery. A random no crank is possibly a bad starter or ignition switch, but both would need to be tested to be sure. As far as the remote not working, it may be as simple as the battery in the remote itself is dead. However, if it's random, it is likely something else and would have to be diagnosed. 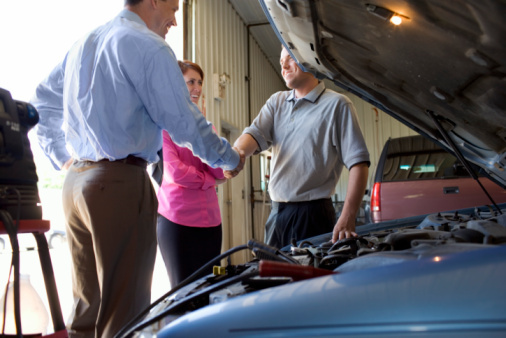 I alluded to it already but it is very important -- whenever you bring your car in for service, make sure you tell the service adviser everything, no matter how silly or unrelated it may seem. Believe it or not, one of those little tidbits of information you didn't think mattered could save the shop a lot of time and you a lot of money!